This delightful three bedroom holiday villa is situated just 5 km from Remoulins and is a fantastic base for a relaxing holiday in the Gard. The villa boasts a gently curving private swimming pool and a lovely garden which is adorned with trees. You will also benefit from a lovely shaded terrace. Inside, the holiday home has been thoughtfully furnishes with a comfortable and relaxing ambience. The property is well positioned for guests wishing to explore the region's picturesque nature. The impressive Pont du Gard aqueduct is only fifteen minutes from the holiday home. This solidly constructed villa was originally built in 1981 and refurbished in 2014. The agent has rated it as a three star property so it is a well-kept villa, equipped with standard furniture. It is also good value for money. 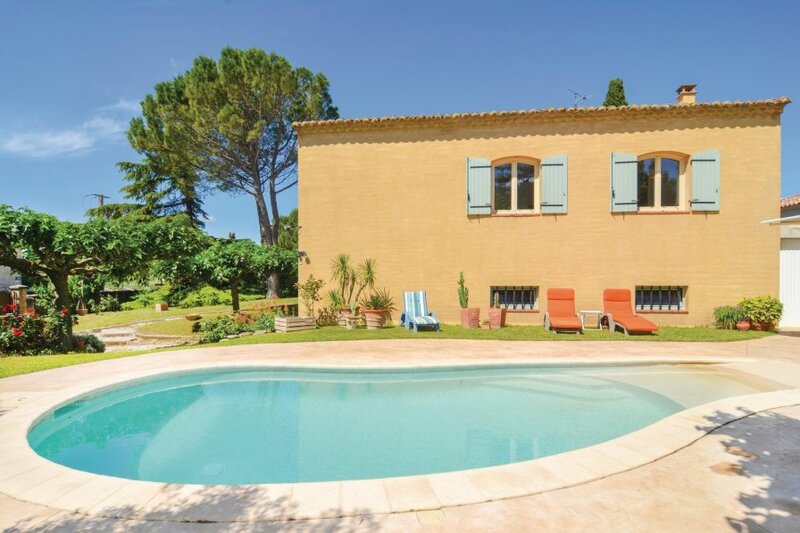 This villa has a swimming pool and is located in Saint-Hilaire-d'Ozilhan, only 5km from Remoulins. The nearest airport is only 33km away. It is set in a good location: there is a restaurant only 110 metres away.